It is not easy to figure the exact size of header you will need for reconstruction in your house. Before you do the work of putting in a header, consult an engineer or the construction code department at your local city hall so that you do not violate state or local building codes. If you simply want to get an idea of what size header you'll need, all you have to do is determine the size of the opening beneath it. 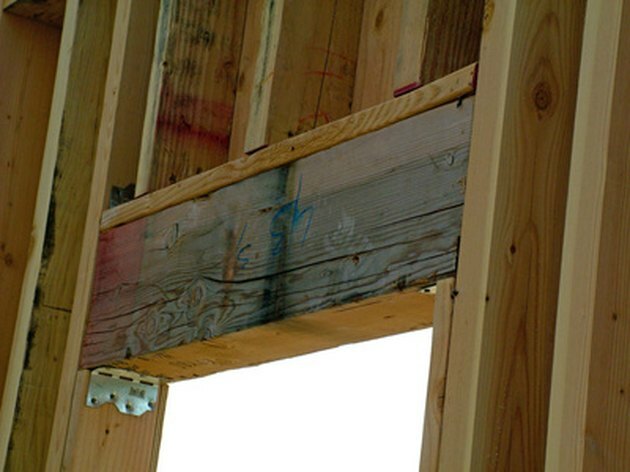 A header is a block of wood that helps to hold weight over an opening such as a door or window. Measure the opening for which the header will hold weight, using a tape measure. If you will be putting in a new window or door, you can use its dimensions to calculate the header size. Figure out the type of header you'll need. 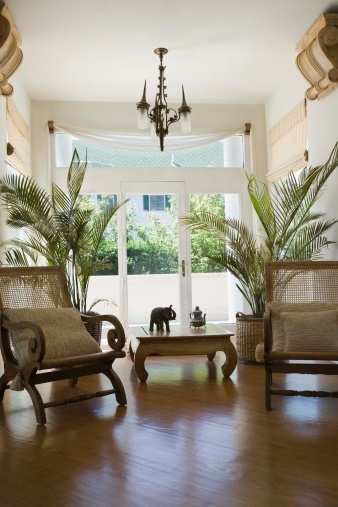 If you are creating an opening no wider than 4 feet, for a door or smaller window, then you need a 2-by-6 header. If you are putting in an opening between 4 and 5 feet wide, then you'll need two 2-by-8 headers. 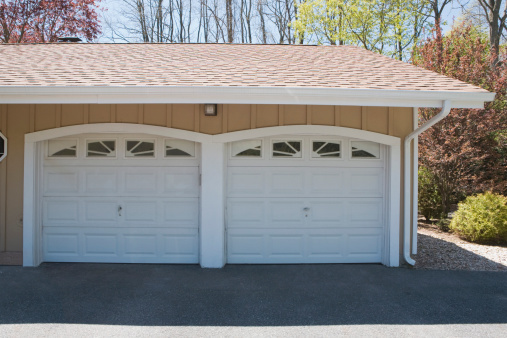 If the opening will be 5 to 6 feet wide, such as for double doors, then you will need two 2-by-10 headers. For an opening 6 to 7 feet wide, you will need two 2-by-12 headers. Take your calculations to city hall and ask an engineer or the person in charge of local building codes to check your work and give the go-ahead for your construction. Jose Leiva started writing in 2008 and has had work published on various websites. He enjoys writing about video games and woodworking projects as well as pets, travel and other hobbies. Leiva holds a Bachelor of Arts in philosophy from the California Polytechnic University, Pomona.